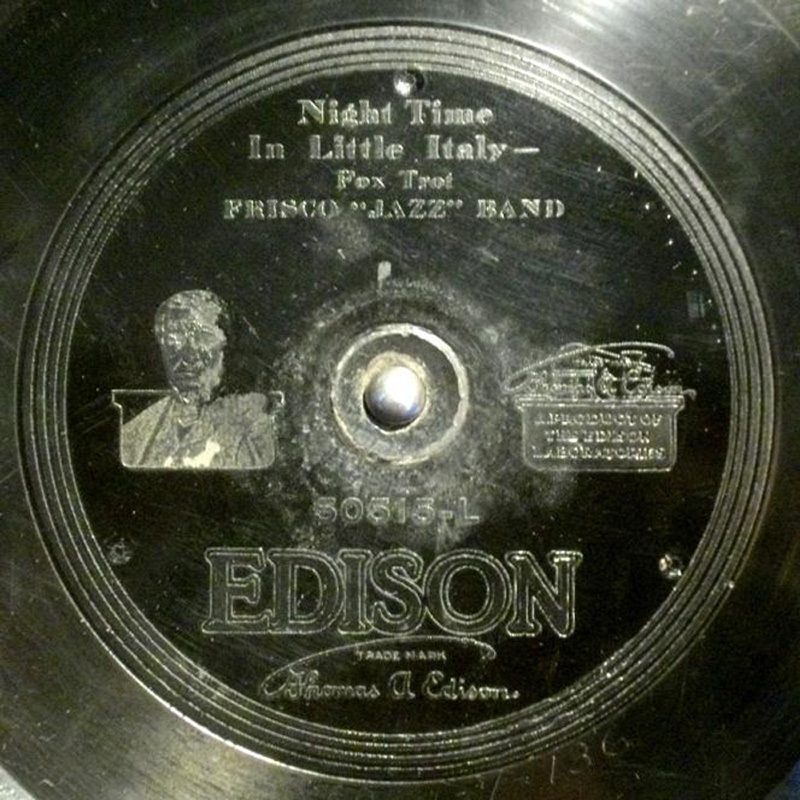 I used a little science to get around the rumble issue with these vertical cut Edison Diamond Disc records. I use a very special vintage tonearm made by Pickering - the 190D. The arm has no vertical travel aside from a very light assembly holding the cartridge. Because of enertia, when the record is played at a low speed, the small assembly can move up and down with the irregularities, reducing the rumble. However, the bass frequencies were reduced due to the extremely low mass of the cartridge assembly. The solution was adding some mass to the assembly, which, because of inertia, the added mass serves to stabilize the cartridge, and extract the lower frequencies. I started this project about 30 years ago, and had recorded about 20 of my Edison Doamond Disc records and passed them on to other collectors, so for those I had to rely on my original transfers. The rest are fresh transfers from records still in my collection. The resulting warmth and depth of sound is really amazing. I only wish I'd kept the records for my original selection to do the fresh transfers for them too. They still sound pretty good regardless. I want to start my background of the Edison Phonograph Company with an explanation of the technical challenges in transferring these early hill and dale records. Dr. Jonas Aylsworth was a chemist at Edison and developed a plastic material using phenol and formaldehyde, mixed with a sawdust filler. When these records were new and had not been exposed to air, they were totally flat and would play quietly. With sustained exposure to air, the organic filler would absorb moisture and swell, resulting in the characteristic rumble associated with these records. By slowing the transfer speed and adapting a very special tone arm, I found an organic way to reduce rumble and allow greater depth of fidelity while minimizing the rumble. Each record played this way took 22 minutes to transfer. I have catagorized my collections by dance bands, vocalists, military bands and Opera, all recorded in separate sets. The first artist in this album is by Jaudas' Society Orchestra - Edison's studio orchestra starting in 1900, who accompanied many of the vocalists in the vocal set. Eugene Jaudas was born in 1869 and had training as a violinist. Some of the very ealrist records to incude the word "Jass" of course the spelloing changed to 'Jazz" I have included four tracks by Lou Chiha "Friscoe" in this compilation. An early soloist on both xylophone and vibrophone, his performance was used in Edison's early tone tests - where he played in fornt of a curtain, then quit playing, when the curtain was opened revealing an Edison Phonograph playiong the same music to the astonishment of the audience. Pietro Frosini, born 1885- was playing the accordion at the age of six, and his records were very popular. To this date, there is a Swedish based "Frosini Society"